LEWCO Empty Corrugated Box Trash Conveyor - LEWCO Inc.
LEWCO, the integrator, and the customer worked together to clearly define the application of an automated way to remove empty scrap boxes from two pick areas of a distribution center to a new baler. Space was very limited and employee safety and ease of use was high priority. 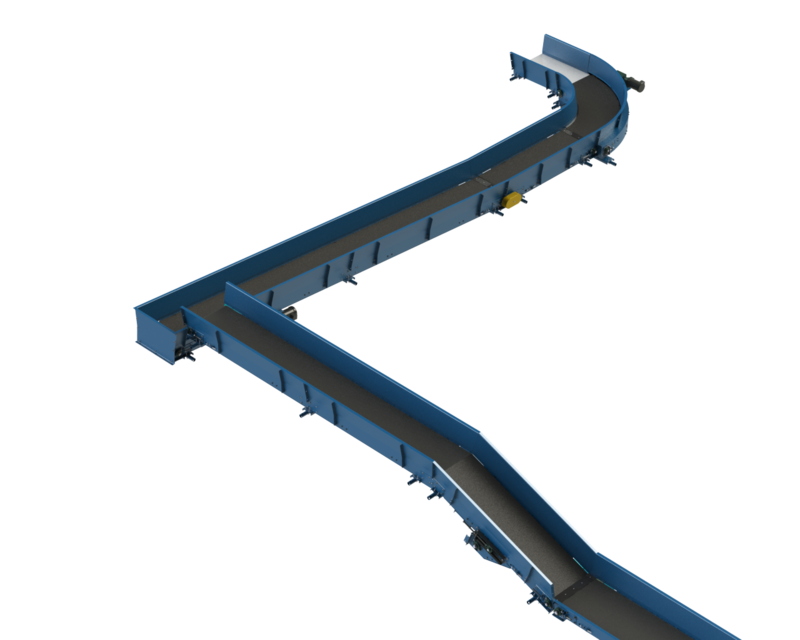 LEWCO began with our standard Parcel handling belt conveyor design (tight frame to belt width ratio) and developed a low profile center drive and take-up to reduce the amount of space required to deliver cartons while still incorporating trash belt guide rails. Using very current technology for trash conveyors (e.g. small diameter end pulleys for tight end to end transitions, fire retardant belting, bottom pans, and 12ft sections), the current design worked well in the customers space, allowed for a wider belt than originally planned, and virtually eliminated employee contact with any moving parts.